Quick Review: Wells Fargo personal loans are useful for people of all credit levels, as Wells Fargo provides both unsecured and secured loans. People who want high loan amounts should consider Wells Fargo loans as well because they offer as much as $100,000 with payoff periods of 12-60 months. Applicants can take advantage of interest rates as low as 7.24% in some cases, too. Quick Review: PNC personal loans are only available to people who live in 19 states and the District of Columbia. But despite the bank’s limited service, there’s still plenty of things to like about PNC personal loans. For example, PNC loans have no origination fees or prepayment fees. PNC also offers some of the lowest interest rates on the market, starting at 5.99%. But the highest rate you could be assigned depends on where you live; you must talk to a representative and provide your zip code to find out. Quick Review: Plain Green loans are extremely expensive short-term loans offered by the Chippewa Cree Tribe, a sovereign nation within the U.S. Their interest rates range from 210% to 438%, and must be paid back within 10 to 26 months. Though they don’t charge fees aside from a returned payment fee, they remain very costly and you should avoid applying for them. 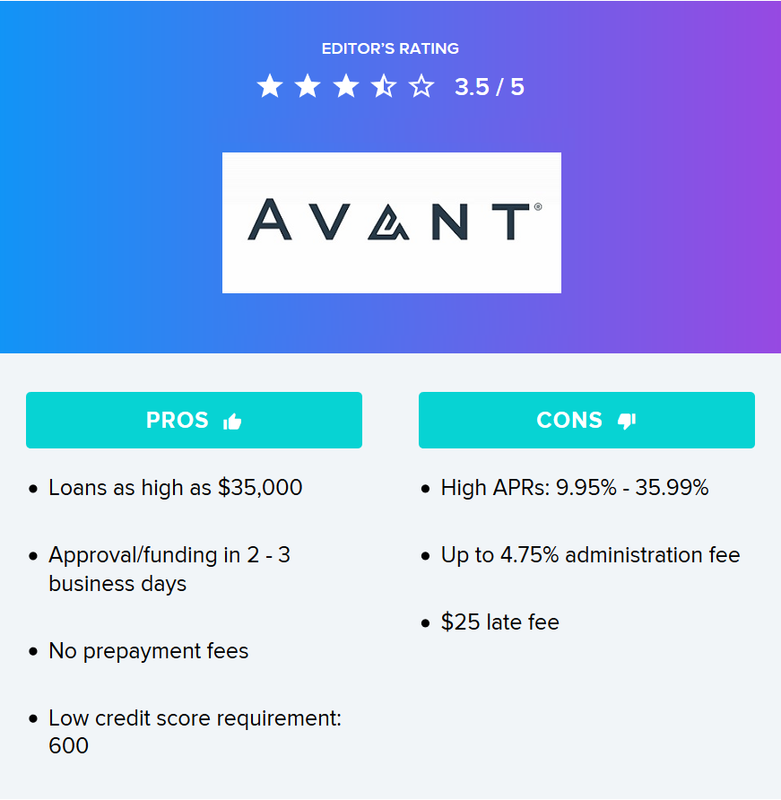 People with damaged credit who need an emergency loan should instead try less expensive lenders who will accept applicants with bad credit (such as Avant) or visit their local credit unions to see if any are willing to work with a low credit score. 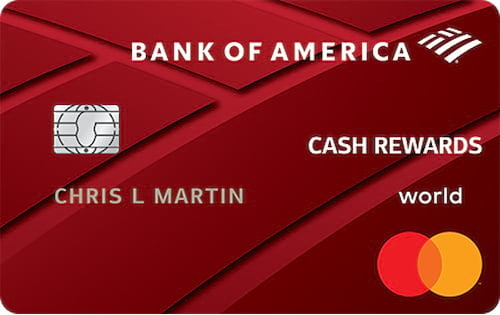 The Verdict: The Wells Fargo Propel American Express® Card has a lot going for it, including an initial bonus worth $300, 0% APRs on purchases and qualifying balance transfers for the first 12 months, and great bonus-category rewards (Wells Fargo is a WalletHub partner). You get 3 points per $1 spent on all types of travel as well as at gas stations and restaurants. Wells Fargo Propel doesn’t charge an annual fee or a foreign transaction fee, either. In other words, Wells Fargo Propel isn’t your average credit card. 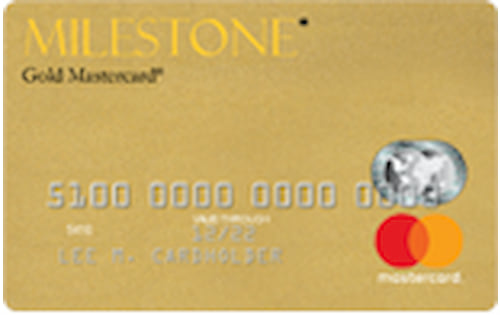 The Verdict: The Wells Fargo Platinum Visa card (Wells Fargo is a WalletHub partner) is one of the best 0% credit cards on the market right now. It offers 0% introductory APRs on both purchases and qualifying balance transfers for 18 months, trouncing the market averages for 0% cards in those categories: roughly 10.5 months for new purchases and 12 months for transfers. However, Wells Fargo Platinum’s balance transfer fee (3% intro for the first 120 days) is above average, too. Similarly, Platinum’s regular APR could be 25%+, while the average among credit cards for people with good credit (which you need for approval) is just above 20%. So you may want to think twice about transferring existing debt. And you definitely shouldn’t carry a balance from month to month once the 0% intro rates have come and gone. “Location, location, location” might be the catchphrase of the real-estate profession, but it applies just as much to realtors as it does to their clients. After all, success in the industry hinges on both an agent’s work ethic and area of operation. The current real estate market is very healthy. January to February 2019 showed the biggest month-to-month rise in sales since 2015. But even as the market adjusts as a whole, certain cities remain hotspots. In the coming year, real-estate agents may want to relocate to places with the highest demand for housing, and that pay the best for their expert guidance. 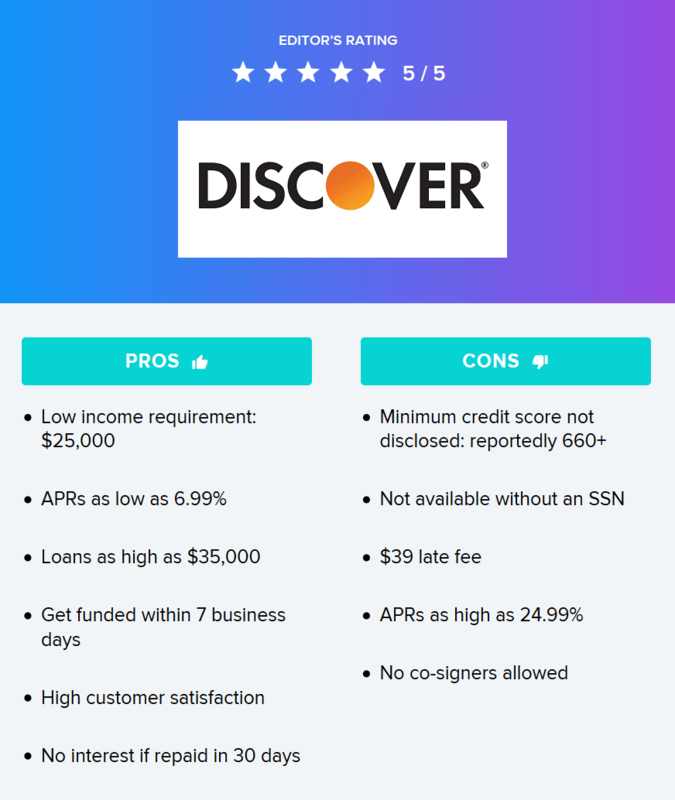 Quick Review: Prosper personal loans are best for people with excellent credit, as they have the best chance of qualifying for Prosper’s minimum APR of 6.95%. People with credit scores as low as 640 can still qualify for a loan from Prosper, but applicants who barely meet the minimum requirements are much more likely to get an APR toward the high end of Prosper’s range. It could be as high as 35.99%, one of the highest personal loan rates on the market. LendingClub Review: Good for Personal Loans? Quick Review: LendingClub personal loans can be a good option for people with bad-to-fair credit, as there are reports of applicants being approved with credit scores between 600 and 640. However, people with subpar credit will likely find themselves at the upper end of the LendingClub interest rate range, which is 6.99% - 35.89%. Conversely, people with excellent credit could qualify for rates at the low end, below 10%. All LendingClub loans are for 36 or 60 months. Gambling exists in every state, even Hawaii and Utah, where gambling is prohibited by law. But not all gamblers are the same. “Recreational” or “social” gamblers, for instance, buy the occasional lottery ticket, take the rare casino trip or bet small stakes in fantasy sports. But they also are mentally able to quit at any point and prevent catastrophic financial loss. Every small city offers unique advantages and disadvantages to new business owners. Some benefits include lower overhead costs, stronger relationships with customers and the potential to become a big fish in a little pond. But there are plenty of drawbacks, too. For one, entrepreneurs who want to build a large professional network aren’t likely to make as many connections in a town with fewer residents. Other restrictions might include limited industry options, a less diverse customer base, and difficulty attracting and keeping top talent. Bottom line: Marcus personal loans, provided by a division of Goldman Sachs Bank, are ideal for people with excellent credit scores, offering APRs as low as 5.99%. Plus, the minimum credit score requirement for a Marcus personal loan is reported to be around 680 - 700. Marcus does not offer secured personal loans for people with subpar credit scores. Quick Review: Citizens One personal loans can be ideal for people with good or excellent credit. It takes a 680 credit score to qualify – a bit higher than what most major lenders require. Qualified borrowers can also get an APR as low as 6.80% – one of the lowest starting rates on the market. However, a Citizens One personal loan could have an APR as high as 20.91%, depending on the applicant’s overall creditworthiness. That is cheaper than the upper limits on many competitors’ loans, but it’s still pretty expensive for someone with good credit. To top it off, Citizens One personal loans are totally fee-free. They have no origination-, prepayment- or late fees. Quick Review: Citizens Bank personal loans are best for people with good credit, as Citizens Bank requires a credit score of 680 or higher to qualify. People with high credit scores could also receive interest rates as low as 6.80%. Plus, Citizens Bank offers loans of up to $50,000. High loan amounts and low APRs are a great combination for debt consolidation. Citizens Bank doesn’t charge any kind of fees on their loans, either. Raising a child in America is extremely expensive, costing the average parent over $230k, and health care accounts for a big chunk of the bill. And while around 95% of children ages 0-18 have health insurance, the high coverage rate hasn’t translated to lower health costs for parents. For example, out of pocket costs for patients increased by 2.5% during 2017 alone, and total spending for individuals aged 0-18 jumped 19.9% between 2013 and 2017. But it’s a different story in every state. WalletHub therefore compared the 50 states and the District of Columbia across 33 key indicators of cost, quality and access to children’s health care. Our data set ranges from share of children aged 0 to 17 years in excellent or very good health to pediatricians and family doctors per capita. Read on for our findings, expert insight from a panel of researchers and a full description of our methodology. 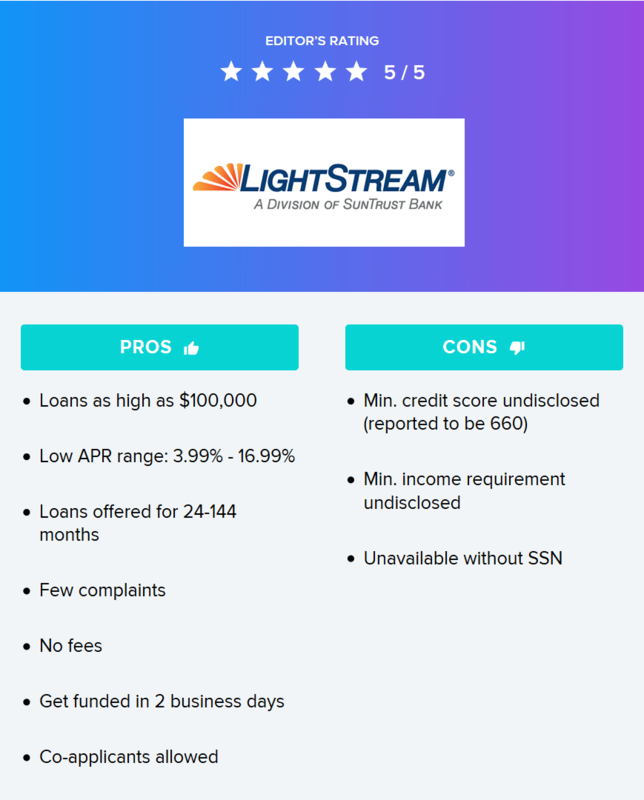 Quick Review: Loans from LightStream, a division of SunTrust Bank, have some of the lowest interest rates on the market. Their APRs start as low as 3.99% and only top out at 16.99%. You can also borrow large amounts for long periods of time, with loans of up to $100,000 for as long as 144 months (12 years). Quick Review: Discover personal loans are great for people who have a credit score of 660 or higher and want to borrow up to $35,000 at a time. Discover loans are especially good if you want a long repayment period, as Discover’s payoff timelines start at 36 months and go as long as 84 months. Plus, Discover’s personal loan APRs can be as low as 6.99%, which makes them useful for people who want to consolidate existing debt at a low cost. 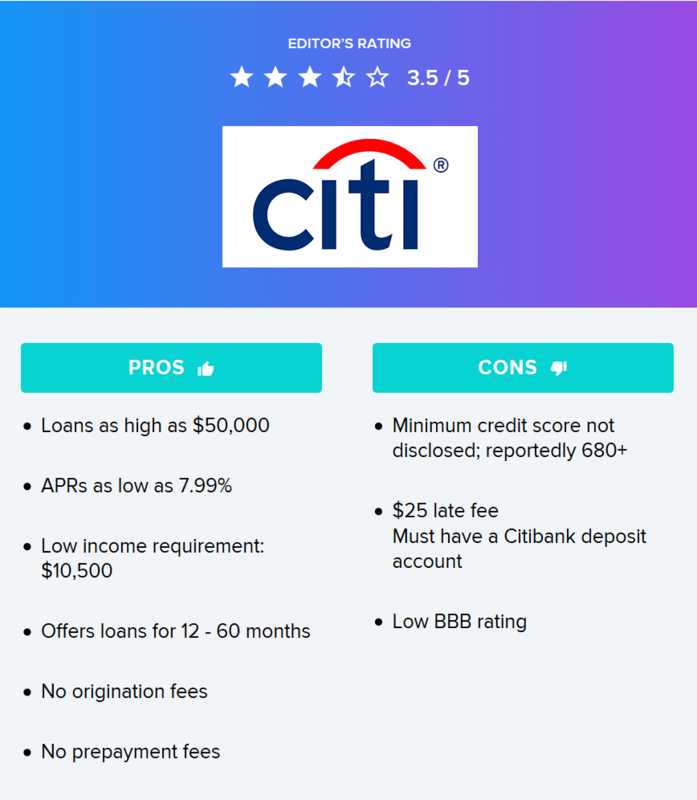 Quick Review: Citibank personal loans are best for people with good credit who already have a bank account from Citi. You will need a 680+ credit score and a Citibank checking account, savings account, money market account or certificate of deposit to qualify for a Citi personal loan. That account must be at least three months old, too. Quick Review: Barclays personal loans offer one of the cheapest minimum APRs on the market, at 5.74%. Their maximum APR of 18.99% is lower than what many other lenders offer, too. The one downside is that these low rates aren’t available to everyone. 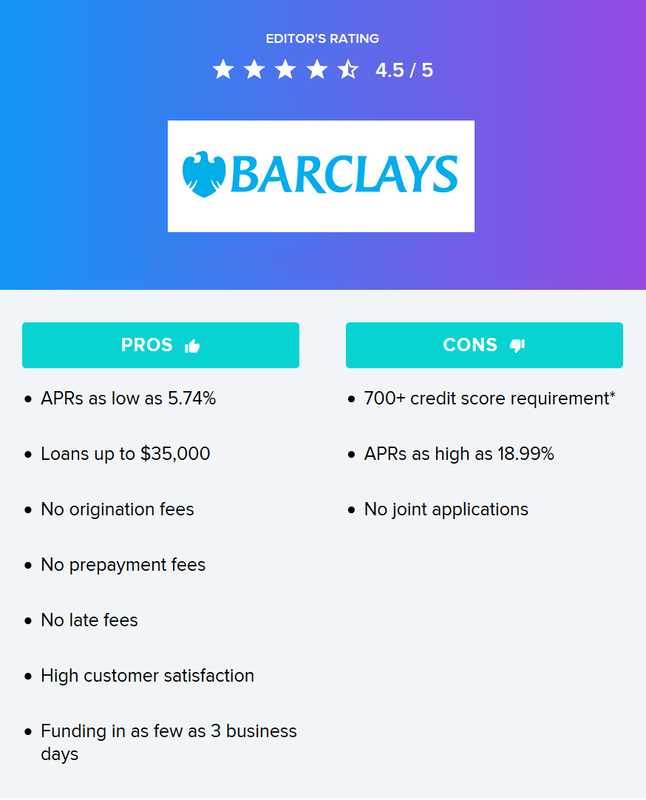 Though Barclays doesn’t disclose a minimum credit score requirement, the consensus from third-party sources is that you will generally need a 700+ score. You know it’s Easter when grocery stores have special aisles just for chocolate bunnies and marshmallow peeps while their dairy sections keep running out of eggs. Beside Valentine’s Day, it’s the other big “consumer” holiday that’s expected to rake in billions and give every American a toothache. But candy and big meals are just one part of the celebration. Most people dye their eggs in bright colors, and hide plastic ones around the home for the kids to hunt on Easter Sunday. At least that’s the Easter tradition that’s familiar to the roughly 80 percent of Americans who celebrate the occasion in some way. For Christians, however, Easter is less of a commercial event than a holy experience. It not only marks the end of Lent — a 40-day period of fasting, reflection, prayer and repentance followed directly by Easter Sunday — but it also celebrates the resurrection of Jesus Christ and represents the “new covenant” between God and humanity. In observance of the holiday, many families will attend services, feast and continue to share the messages of Christ.